How do I assign employees to a position? 1. Bulk assigning via the Positions tab. 2. 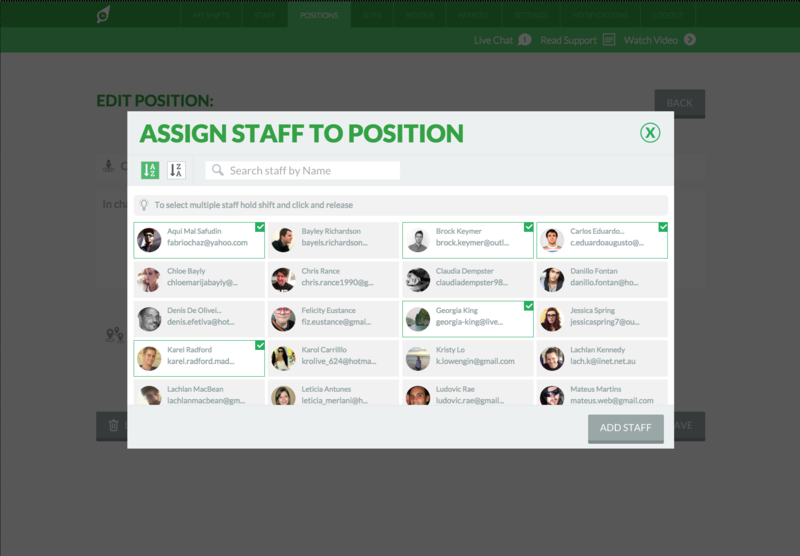 Assign employees one by one via the Staff tab. 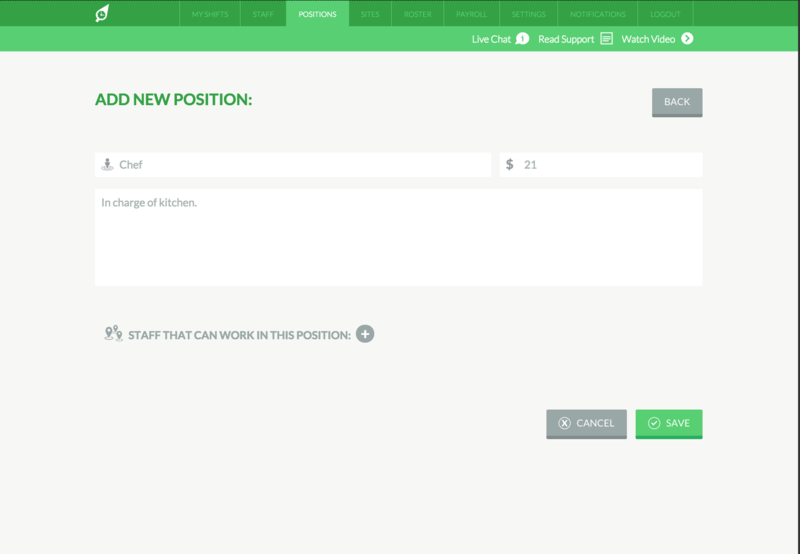 When you create a new position its easiest to assign employees to it via the positions tab. 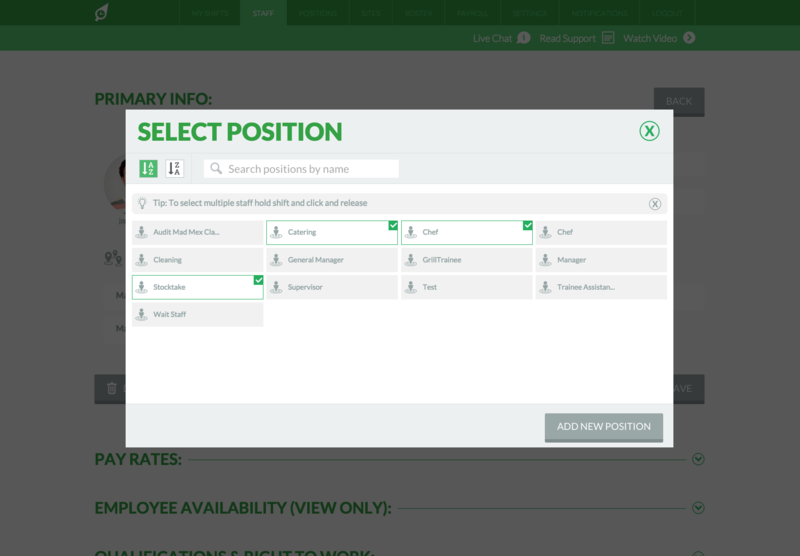 In the "Positions" tab, simple find the position you wish to assign employees too and click on it. Than, simply click the + icon next to "Staff That Can Work This Position". A pop-up window listing all your staff will appear similar to example below. Select the employees that can work this position by clicking on them. TIP: To select multiple employees at once, simply hold down the shift key whilst selecting. Once done, you will notice a list of employees who can work the new position listed clearly for you. You can add and remove employees from this list at any time. 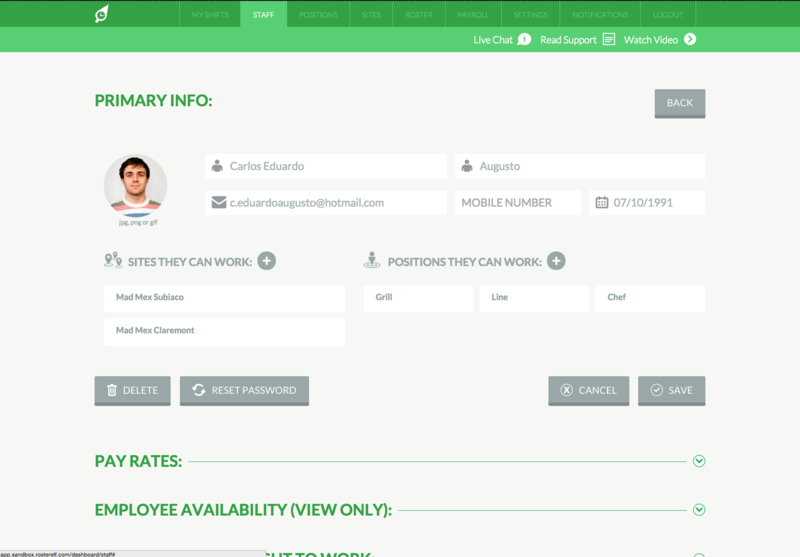 The second option to assign employees to positions is individually, employee by employee. To do this, firstly click on the "Staff" tab and select the employee from a list on your account. To assign an employee to a new position, click the + icon next to "Positions They Can Work". A popup window will appear similar to example below for you to select new positions on your account that this employee can be assigned to work.